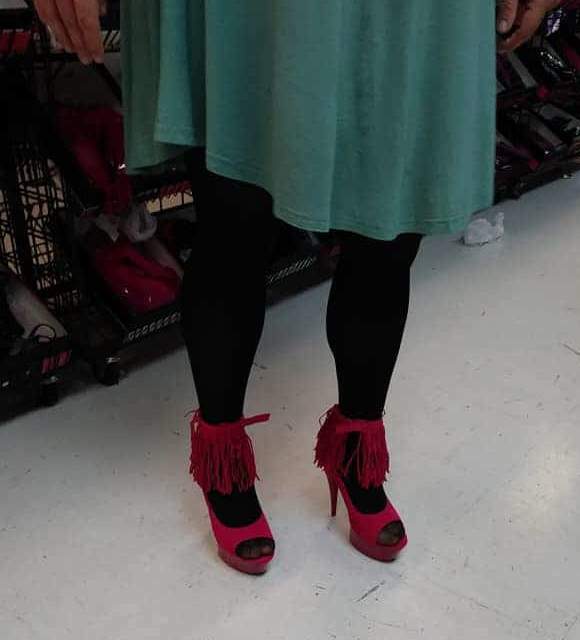 Some platform heels the wife made me try on. Dangerous heels are the best and sexiest heels. Break then in get used to them and you will never wear anything else.